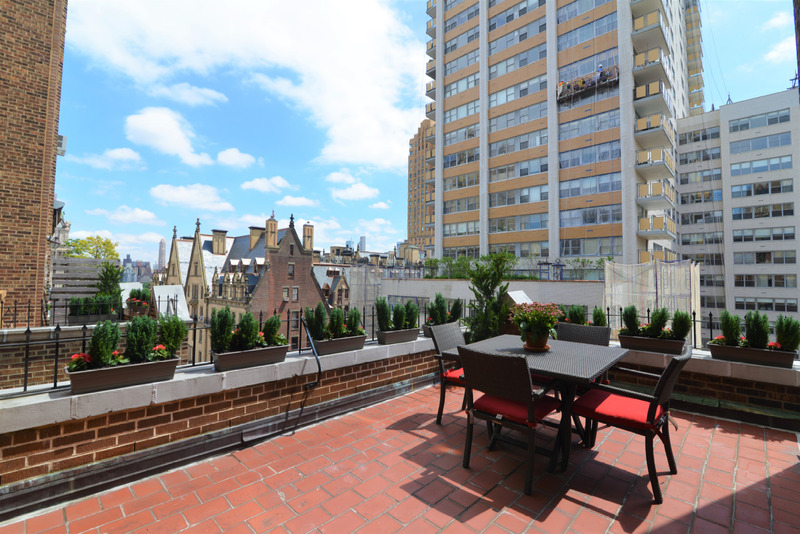 This masterpiece one-of-a-kind three-bedroom in the iconic Park Royal must be seen to be believed! The breathtaking, lofty layout with two magical, large terraces combined with an exceptional and meticulous new renovation is everything you want in your dream home by the park! Upon entering this extraordinary south-facing residence, you will fall in love with the enormous lofty living room with a separate dining area and dazzling, huge rectangular-shaped terrace with park and city views – perfect for lavish entertaining and quality living. The exquisite designer chef’s kitchen boasts superb European cabinetry, marble counters, top-of-the-line stainless steel appliances including a Sub-Zero refrigerator, Wolf stove, and Miele dishwasher. The master suite has its own dazzling private terrace and sumptuous spa bathroom, and there are two additional luxurious bedrooms, two more gorgeous new marble bathrooms, a wonderful custom built-in home office, fantastic closets throughout, and stunning designer lighting. Some of the residence’s exceptional features include magnificent new herringbone hardwood floors, high-beamed ceilings, stunning crown moldings, central A/C, and a washer/dryer. 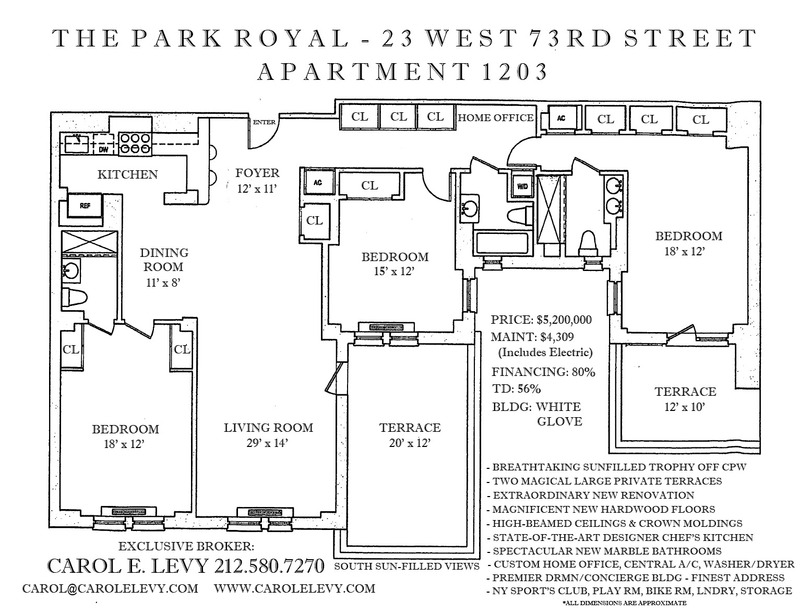 Just steps off Central Park, the majestic Park Royal was designed by the renowned architect, George F. Pelham. Residents enjoy the finest white glove service with 24 hour doorman and concierge, a resplendent lobby, New York Sport's Club in the building, bicycle room, private storage lockers, children's playroom, laundry, Wi-Fi, and a pet friendly environment. In addition, this premier West Side address offers world-class dining, shopping, culture and transportation right outside your door. Co-purchasers, pied-a-terres, and washer/dryers are also permitted on a case-by-case basis. This awe-inspiring home is simply unparalleled…If you are looking for a spectacular treasure with its own outdoor oasis in the heart of the West Side, this one will take your breath away! COPYRIGHT © 2013 CAROL E. LEVY REAL ESTATE. ALL RIGHTS RESERVED. NO DUPLICATION OR USE OF PHOTOS PERMITTED WITHOUT EXPRESSED PERMISSION.